A 1.8-litre turbocharged engine which sends about 190 bhp and 250 Nm of torque to the front wheels via a quick shifting 7-speed DSG gearbox, impressive right? Now imagine that drivetrain in the shape of the Volkswagen Polo hatchback, mind blown right? That is what you get when you buy the Volkswagen GTI, a pumped-up version of the popular hatchback. 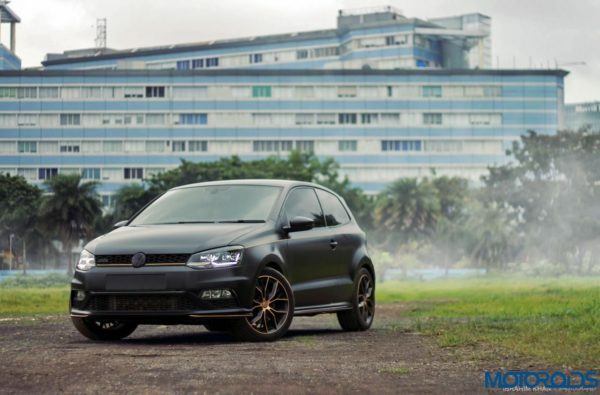 Just like the Polo GT TSI, we see many owners and petrolheads tuning their GTIs as well, we present you one such example, owned by Danish Patel, which happens to be the fastest GTI in India. 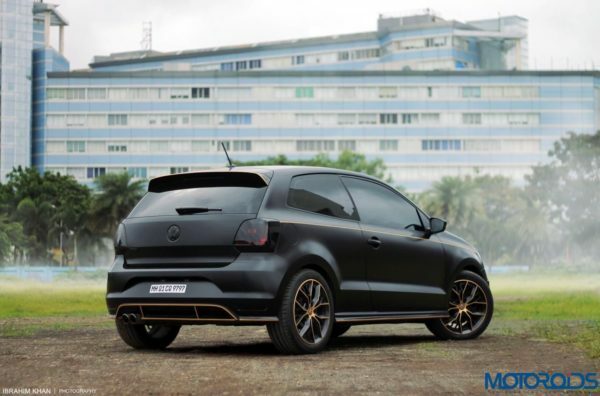 What makes this GTI so fast is an IS20 Turbo Upgrade which sends more air to the engine working together with an Airtec Motorsport intercooler. Additionally, the engine has a Stage 2+ eTuners Motorsport performance and TCU tune which makes the engine more powerful and the gearbox ready to handle that power. With so much power and changes, the stock spark plugs just cannot keep up and tend to cause the engine to misfire, a set of new Denso spark plugs take care of that problem. To control all the additional power, the car had to be fitted with upgraded EBC Yellowstuff brake pads. What the point of having a tuned car without a nice sounding exhaust, the GTI has been straight piped with a cat and resonator delete which brings out a more natural sound note of the engine and also helps the engine breathe better. The car gets a lowered stance courtesy of Eibach Pro-Kit lowering springs which are hidden behind beautiful 17” Momo Massimo Rims. The tyres, which put all this power on the ground are 225/45 section Michelin Pilot Sport 4 which are one of the best road tyres out there. The originally red car is now wrapped in a beautiful satin black shade with gold highlights which makes the car look much more imposing. So what difference did all these modifications made? The GTI now makes 280 hp and 400 Nm of torque at the wheel, now that is way more than what you get in a JCW Cooper S, one the competitors of the GTI. What are your thoughts on this monster? Let us know in the comments below.